Every year we run a Writing and Art Challenge that provides youth with prizes, awards grants to the schools of the Grand Prize Winners and concludes with a community Award Ceremony, celebrating all the entries! The 2016-17 Writing and Art Challenge Was LEGENDS AND HEROES! Check out the Prompt and Rules. 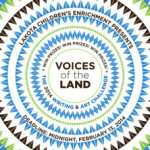 Be Inspired by the work of Young Native Artists: at this link you will see the winning ART entries! 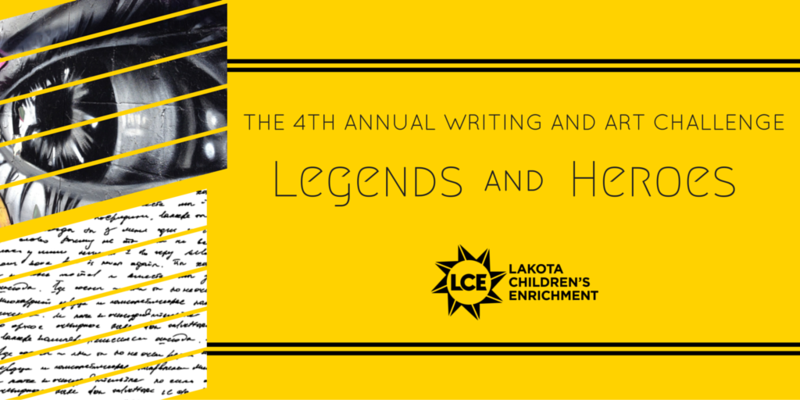 Be Inspired by the words of Young Native Writers: At this link you can read the winning Writing Entries! Read all about the Awards Ceremony where the community celebrated Native Artists and Writers! Youth wrote about ClimateChange, the Keystone Pipeline, the protection of Unci Maka, Grandmother Earth and many more topics relating to issues of sustainability and preservation. 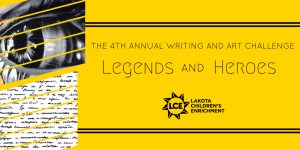 The 2014 writers and artists were celebrated at AWARD CEREMONIES at the Red Cloud Indian School and the Little Wound School on the Pine Ridge Reservation. 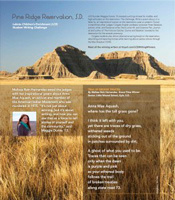 In Summer 2013, Colgate University’s quarterly alumnae magazine featured Grand Prize winner Melissa Hernandez’s poem about Anna Mae Aquash, an activist whose body was found years after her murder on the Pine Ridge Reservation. In addition, an excerpt of Melissa’s poem was published in Al Jazeera America. You might be interested in an Interview of 2013 Writing Challenge Judges Peter Balakian and Maggie Dunne about the entries and the Award Ceremonies. LCE Founder Maggie Dunne said: “I am proud of every young person who entered the challenge and had the courage to put their thoughts on paper or spoken words. Creative entries included stories through the eyes of ancestors, animals, and Unci Maka (Grandmother Earth). Lakota youth set forth opinions about protecting the earth and the effects of mining and pollution on their culture and community. We celebrate these stories on Earth Day, but will continue to share them throughout the year as they present timeless stories of endurance, passion, culture and environmental justice.